This tuning is more properly called Baritone Melody™/Classic bass. The melody side is a 4th lower than the 10-String Classic™ Stick tuning. 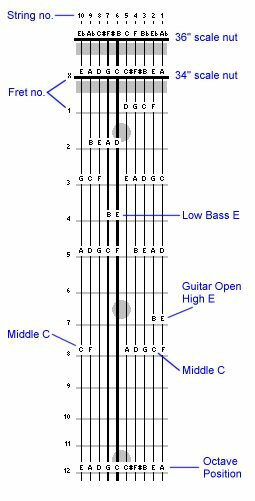 It is popular with solo 10-string players, with greater overlap between the two sets of strings, and more powerful rhythmic play from the thicker and lower melody strings.